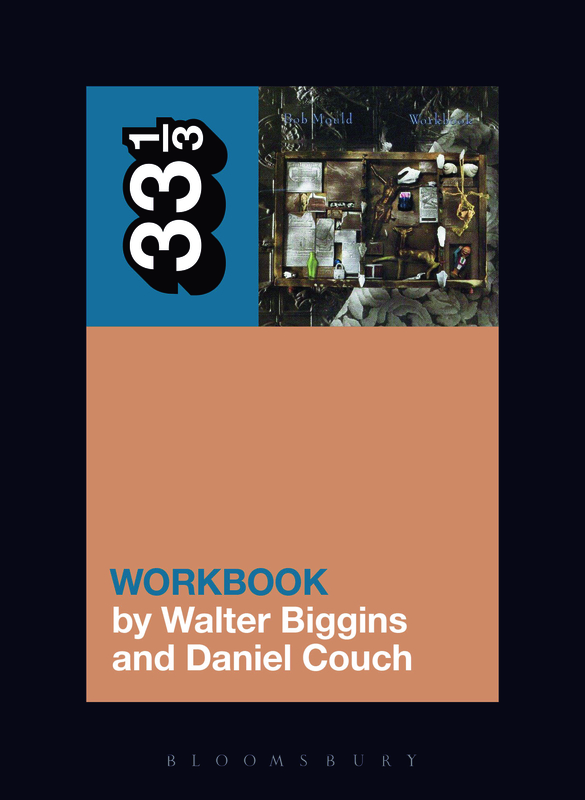 Ahead of its publication on September 7, authors Walter Biggins and Daniel Couch share exactly why Bob Mould’s Workbook has had such an impact in their lives, and why it took them almost 25 years to be able to fully appreciate its message. Hi. We’re W alter Biggins and Daniel Couch, and we are fans of Bob Mould. We started listening to his music in high school, and our friendship was cemented through decoding Mould’s distinctive mix of searing lyrics, noise barrage, and melodic pop. We were 15, 16 years old at the time, and at once too late to see Bob in his first incarnation—Hüsker Du had broken up in 1987, when we still wore Underoos and Keds—and too young to get into clubs to see Sugar, Bob’s band at the time and, through Copper Blue and Beaster, our effective introduction to the man. So, despite our fascination with Bob and collecting anything of his we could get our hands on, we didn’t get to actually see Bob live with a band until an October 2005 show in Seattle. We were joyous and yelping that we got to see Bob together, sweating and slapping fives and making Dan’s then-girlfriend (now his wife) giggle at our rock nerdiness, replaying the show as we bounced home from the venue. Dan shouted out into the chilly Seattle night: “They went on that stage with one purpose and one purpose only—to kick our asses! No stage banter, no pauses, just an hour and a half of full-on attack.” Walter nodded, grinning like a fool. It was like we were sixteen years old all over again but more comfortable with ourselves. But we weren’t. That night, we were on the cusp of our thirties, about the same age that Bob Mould when he composed and recorded Workbook. Moving from adolescence and stumbling through our twenties, we had gone through plenty—cross-country moves, rising and falling relationships, money woes, family dramas, the works—and were just beginning to process it, make sense of it all, and prepare ourselves to move forward. These are the major themes of Workbook, Bob’s debut as a solo artist, in which he both turned inward lyrically and transformed himself musically. It’s a record of a man growing up into adulthood and, in the process, growing past his legacy as a post-punk legend. In many ways, we think of Workbook as Bob’s most quintessential album, the record showing the most versions of him in a single package, precisely at a moment when he was questioning the packaging in the first place. We wish we could say that we were ready for Workbook when we were sixteen sneaking through the high-school hallways, or even singing along in Seattle that night, but that wouldn’t be quite right. We were glad to hear a rocked-out version of “See A Little Light” (Workbook‘s hit single) that night, sure, but the album’s acoustic subtlety and introspective focus were too mature for us as teenagers and, we thought, maybe a little passé by the time we were closing out our twenties. We both admired Workbook but neither of us loved it. No, it took another decade’s worth of transitions—marriages, children, more relocation, more job changes—to fully get us on Workbook‘s wavelength. By the time we were both approaching 40, we lived three time zones apart and communicated mostly by phone and email. Gradually, we began talking about the ever-shifting path toward emotional maturity, about our place with our communities versus our place as individuals, about figuring out how to manage our creative drives while still keeping food on the table. More and more, we used Workbook as a talking point, a model for how this adulthood thing might be done. That’s what the record has always been about. In 2014, 25 years after its first release, we were finally at the right age for it. Two years later, we had written a draft of that ongoing conversation about Workbook, including all the people—Bob, Anton Fier (drums), Tony Maimone (bass), Jane Scarpantoni (cello), Steven Haigler (engineer), and others—who made the album into our crosstalk through interviews and email chats. Somehow, though, we didn’t feel like we could be done with the correspondence until we got to see Bob live one more time. Bob was older, perhaps wearier, and more worried. So were we, looking down the barrel of a Trump presidency and accepting that our hair wasn’t gonna grow back and our potbellies were gonna get harder to carve away. We didn’t get to see Bob together—Dan saw him in Portland; Walter in Athens, Georgia—but it didn’t matter. Bob and his band (Jason Narducy on bass, Jon Wurster on drums) blazed through both nights, as loud, powerful, and yet somehow intimate as the music always was. We did the same pogoing and yelling as before, though our knees and our throats felt it more the next day than they had in 2005. That’s okay. It’s good to feel sixteen, sure, but it’s just as good to view it from a distance, with gratitude and forbearance rather than fear and longing. That, in part, is what Workbook taught us, why we return to it, and why we wrote a whole book about it. Maybe, after reading it, you’ll feel the same way about Workbook that we do. 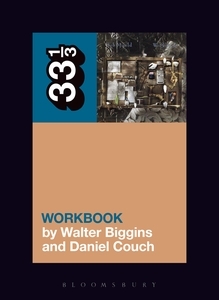 Bob Mould’s Workbook by Walter Biggins and Daniel Couch publishes on September 7, 2017. Pre-order your copy now. Series editor Q&A: Daphne Brooks + a forthcoming book in 33 1/3! I missed Husker Du at their one and only date in South Florida, ironically called The Warehouse. I never had a chance to see them again, but I have never missed the chance to see Bob solo, with Sugar, or with Dave Grohl ever ! I am trying to find a way to see him on his new tour and will do all I can to make that happen. A profound and passionate artist, Bob sets the bar high for quality, musicianship and performance. This book sounds like the perfect homage to a multi-faceted and complex man and details the making of one of the best rock albums ever made, a true artistic vision executed with love. Never did see Husker and the Dus… Bob Mould toured Workbook w/ Urban Dance Squad opening, played in Boston on Landsdowne St (was it Citi then? Still Metro? ), went with a date ‘cuz Workbook rocked my world. Sadly, neither I nor Mr Mould rocked my date’s world so she left. Not my loss. I was raised by a cellist and have always lamented their lack in rock bands/music. Went on to see Sugar, some solo tours and his recent ones for Silver Age and Patch The Sky. Like Orin (above) except I think I’m two dozen years older, Workbook would be on my deserted island list were it not for Copper Blue, which came along when I was completely disillusioned w/ the idiom and single-handedly reaffirmed my faith in rock and roll. Call it a toss-up, there is that gorgeous cello, especially on See A Little Light. Entertaining and honest write-up by you guys. I was fortunate to be 17 and see a Husker Du show on the Candy Apple Grey tour–the same show (Roxy, Los Angeles) that Bob mentions in his book as being more of a small show for record execs. Well, I was almost at the very front of the stage (one guy was ahead of me) and as close to Bob as I probably ever will be. I saw them two more times on the Warehouse tour and then break up. I saw Bob on the Workbook and Black Sheets of Rain tours and when Sugar supported its FUEL ep. I read Bob’s book (courtesy of the San Francisco Public Library). This really filled in a lot of the gaps regarding motivations and inspirations regarding Workbook that I previously had not known about. Bob’s been a major part of my musical life since Metal Circus. I truly look forward to your book. Workbook is in my top three Desert Island albums. I’m about a dozen years older than you guys and I immediately understood the power, intensity and deep nuance that Bob was expressing. It forever moved me. I’m glad it moved you two too. Excellent excerpt and I can totally relate. Can’t wait for the book…. having survived Sugar shows and Bob acoustic and other iterations. I love what Jason and John bring to the mix and the energy that trio puts out as well. Bob is the man. Insert feedback here at the end….